Click on below to hear clips from the songs! 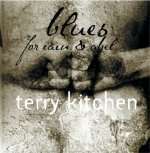 Though best known as an award-winning songwriter, Terry is also a compelling interpreter and live performer. 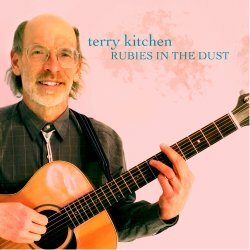 Terry's new digital-only release Rubies in the Dust collects some choice covers and live tracks, as well as collaborations with guest performers Barbara Kessler and Rebecca Lynch. 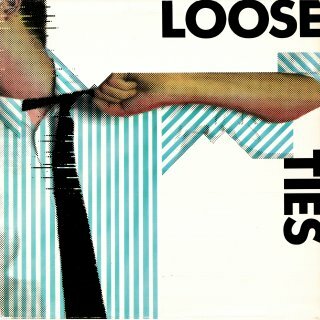 Terry's band Loose Ties' 1985 EP, produced by Fred Pineau of The Atlantics and featuring their #1 local single "Last Time" plus studio and live bonus cuts. With Terry, Bill Kuhlman, Brice Buchanan, Chris Peeler and Barry Singer. 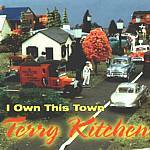 buy direct from Terry's website! 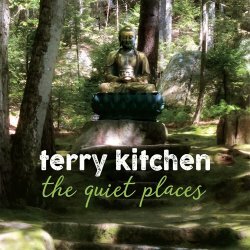 Terry's brand new CD The Quiet Places shuts out the noise, unplugs, and takes us on a journey deep inside the human heart, celebrating our small-but-important victories, finding strength for hard times and something like wisdom in our inevitable shortcomings. 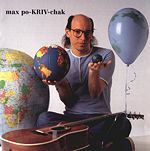 Ranging from Seeger-esque folk to Elvis Costello-tinged jazz/blues (including a cover of Spirit's classic "Nature's Way") and featuring help from Bob Harris (mandolin), Roger Williams (Dobro), Sam Dechenne (trumpet) and singers Mara Levine, Amy Malkoff and Rebecca Lynch, The Quiet Places is Kitchen's most revealing work to date. The Post-American Century presents ten musical sketches of American life. Aided by Bob Harris (mandolin), Roger Williams (Dobro), Chris Devine (violin) and singers including Mara Levine and Amy Malkoff, The Post-American Century frames Kitchen's insightful lyrics with moody, stick-in-your-brain melodies and spare, rootsy accompaniment. 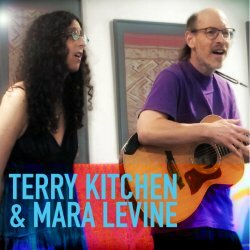 Award-winning Boston contemporary folk singer/songwriter Terry Kitchen joins voices with acclaimed New Jersey vocalist Mara Levine for a sound that's both intensely dynamic and uniquely beautiful. This 4-song limited edition EP features Levine's gorgeous interpretation of Kitchen's "A Perfect Rose" as well as duet versions of "One by One (Song for Trayvon Martin)" and "The Favor." 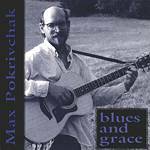 available from cdbaby.com and itunes. summer to snowflakes is an intimate and personal album that nonetheless captures and reflects universal feelings, archetypal stories, and up to the minute world events. From the gentle guitar arpeggios that open "Listening to Summer" to the graceful piano that closes "Snowflakes," the CD is full of Kitchen's detailed, poignant songwriting, understated vocals, and rich musical colorings. Highlights include the banjo-driven "Rainbow (in the Middle of the Night)," based on a pivotal scene from Harper Lee's To Kill a Mockingbird, the authentic reggae groove of "Build a Bridge from Both Sides," and the jazz samba "If I Were Your Guitar." Two songs, the bluesy "Break the Same Heart Twice" and the wry "Last Straight Boy in Ptown" also feature full horn sections. A rewarding 14-song journey, from summer to snowflakes. Lyric booklet included. 08. why do i hate my very nice life? 11 and a half songs about love, war and waitresses. 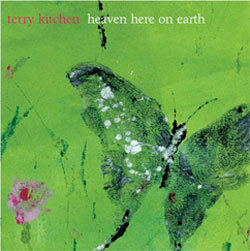 Co-produced by Kitchen and Daniel Cantor (drummer for Jim's Big Ego), heaven here on earth is the most adventurous and energized of Kitchen's eight solo CDs. 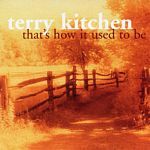 While still highlighting his literate, detail-rich songwriting, intimate vocals and deft guitar playing, the album features a full band on most tracks and a spirit that harkens back to Kitchen’s rock'n'roll past. With sounds ranging from accordion ("The Seven Eleven Overture") to autoharp (the title tune) to a string quartet ("Nothing Works Better") and players including Alizon Lissance, Jesse Flack, Annie Raines, Brice Buchanan (from Kitchen's '80s band Loose Ties) and Cantor, heaven here on earth is Kitchen's most fully realized recording to date. The beautiful cover print, "papilliones japonaise," is by Provincetown artist Christian Kozaki. The CD also contains a booklet with full lyrics and credits. Right Now (urban campfire 1008, 2002) available from cdbaby.com and itunes. blues for cain & abel (urban campfire 1006, 1999) available from cdbaby.com and itunes. 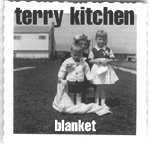 Blanket (urban campfire 1004, 1997) available from cdbaby.com and itunes. 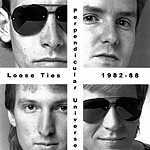 I Own This Town (urban campfire 1003, 1995) available from cdbaby.com and itunes.